Objectives This study investigated shift pattern (day shifts versus day-night rotation) and its interactions with age, and with the years of shiftwork exposure, as predictors of body mass index (BMI).  Methods Survey data were collected from offshore personnel working day shifts (N=787) or day-night shifts (N=787); information was obtained about shift pattern and years of shiftwork exposure, height, weight, demographic factors, and smoking habits. Hierarchical multiple regression was used to test a model in which BMI was predicted by additive and interactive effects of shift pattern, age, and exposure years with control for confounding variables. Results In a multivariate analysis (controlling for job type, education and smoking), BMI was predicted by the main effects of age (P<0.001) and years of shiftwork exposure (P<0.02). Shift pattern was not significant as a main effect, but it interacted significantly with the curvilinear age term (P<0.025) and with the linear (P<0.05) and curvilinear (P<0.05) components of shiftwork exposure. In the day group, age but not exposure predicted BMI; the opposite was true of the day-night group. The D-N group showed a steeper increase in BMI with an increase in age and exposure years than the day group did. Conclusions The significant interaction effects found in this study were consistent with the view that continued exposure to day-night shift work gives rise to increases in BMI, over and above the normative effects of ageing on BMI shown by day shiftworkers.